Have you ever wished there were more races available in Skyrim? But not just any old race that you can download a mod for, I mean something that makes Skyrim a whole new game. For instance, wouldn’t you love to be a bear?! I may not be able to convince you, but this quick series of videos sure will! They are just so hilarious that I had to share. There is three in total, you gotta watch them all! Now that you’ve seen these there is no way you can continue your Skyrim adventure without a Dovahbear of your own, right? Not to worry, there’s a mod for that. That’s what I really love about Skyrim, and the entire Elder Scrolls Community – if you want something in the game, there is a pretty high chance you’re not the only one. And someone will make it happen. 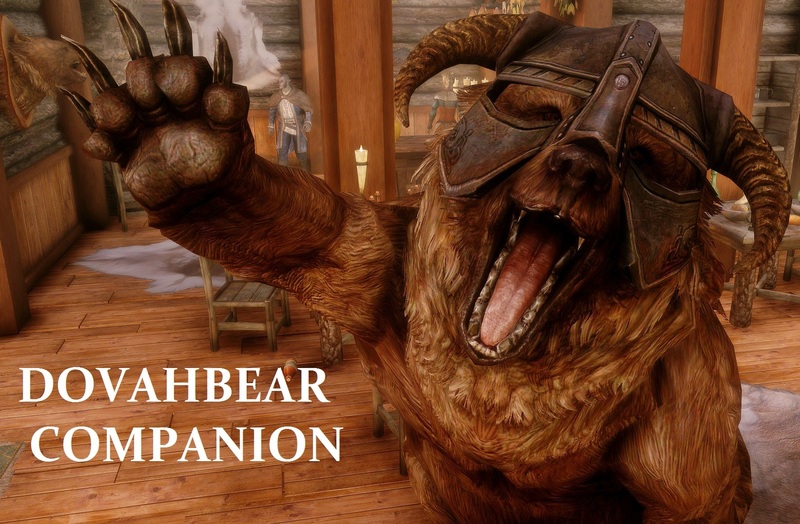 Check out the DovahBear Companion Mod! While it’s just a companion now, the author is working on making DovahBear a playable race!